Russian Foreign Minister says his country will respond in proportion if the U.S. takes military action to prevent Syria chemical attack. Russia will respond "in proportion" if the United States takes military action to prevent a possible chemical attack by Syrian government forces, Russian Foreign Minister Sergei Lavrov said on Wednesday, according to Reuters. 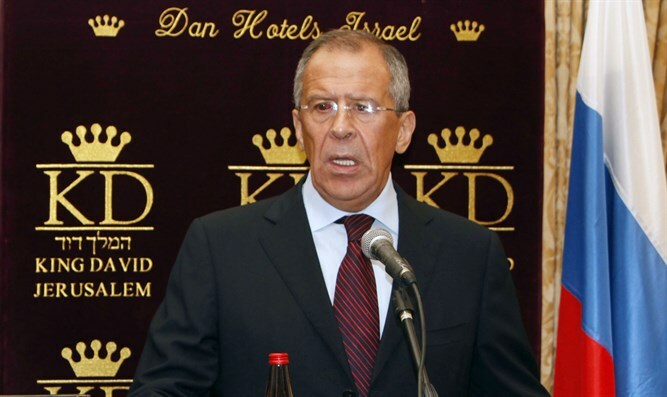 "We will react with dignity, in proportion to the real situation that may take place,” the Russian Foreign Minister said, speaking at a news conference with his German counterpart, Sigmar Gabriel. Lavrov said he hoped that the United States was not preparing to use its intelligence assessments about the Syrian government's intentions as a pretext to mount a "provocation" in Syria. "I expect that our partners in the region - American, European - will also have an open and comprehensible approach, aimed at de-escalation through normalization of the humanitarian situation," he was quoted by Reuters as having said. White House press secretary Sean Spicer said on Monday that U.S. intelligence agencies have evidence suggesting the Syrian government is preparing for a large-scale chemical attack, similar to the strike near the city of Idlib in April which left dozens dead and hundreds more with serious injuries. “If… Mr. Assad conducts another mass murder attack using chemical weapons, he and his military will pay a heavy price,” said Spicer. On Tuesday the Pentagon said it detected “active preparations” by Syria for a chemical weapons attack, giving weight to the White House statement. Russia is a close ally of Syrian President Bashar Al-Assad and has been assisting him in his battle against rebels trying to oust him. Last week, Lavrov spoke with his U.S. counterpart, Secretary of State Rex Tillerson, urging him to prevent "provocations" against Syrian government forces. The phone call between the two took place after the U.S.-led coalition fighting the Islamic State (ISIS) downed a Syrian army aircraft in southern Raqa, in what the U.S. Central Command said was "in collective self-defense of Coalition-partnered forces."